Wells Fargo is one of the nation’s most reputable banks and has also been named as the most valuable bank brands in the world. 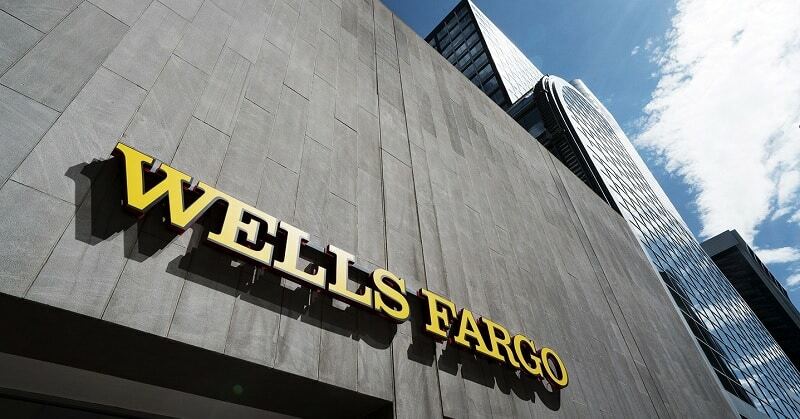 In addition to credit card bonuses, Wells Fargo offers a multitude of financial services including investments, mortgage and business loans, and basic banking. Their unique line of credit cards include Home Rebate programs that will help pay down your mortgage principal balance. Wells Fargo has different credit cards for different needs including cash back, rewards, balance transfers, building credit, and cards with no annual fee. Wells Fargo credit cards are currently available on the Visa and American Express card networks. If you plan to travel outside of the U.S. and you have an American Express co-branded, just remember that American Express credit cards are less commonly accepted in overseas than a Visa card. Plan on carrying another card with you just in case. However, the list of places that are taking American Express are slowly growing. Below, you’ll find all the best Wells Fargo credit card bonuses. Review the list of Wells Fargo credit cards to learn details about each. Wells Fargo offers many cards worth mentioning, such as their 5X cards or their Propel series, but there are some things you should know before getting a new card with them. I advise that you read over this list to understand Wells Fargo because they operate a little differently from other credit card issuers. We recommend to have an account with Wells Fargo for a better chance at a credit card approval. I recommend setting up a checking and/or savings account with them! Minimum spending requirement is based on the time in which your card is approved and the calendar months. There isn’t a maximum on the number of Wells Fargo credit cards you can have. Wells Fargo usually won’t approve non-permanent residents. If you’re denied for a Wells Fargo card, contact their reconsideration department. Though not the easiest card issuer to be reconsidered, it’s worth a try. You’ll be asked some basic questions. Make sure you have a valid reason for wanting the card, for example, a unique feature that the card offers. In addition, know your credit score and report, as different cards require different scores. Multiple inquiries can be merged if made on the same day. Though, the thing is, it’s rather difficult to get approved for even two cards within the same day. Retention bonuses for cards with an annual fee aren’t offered. If you open a Wells Fargo card in the last 16 months, you can’t get the sign up bonus on another card. You can, however, get one personal and one business every 16 months. Distributing credit limits with Wells Fargo is always a hard credit pull. Wells Fargo will report your statement balance as your credit used to the credit bureaus. Make sure to pay off your balance before your statement closes to lower your credit utilization. Requesting a credit limit increase is allowed. They operate mixed reports. Contact them to make sure if it’s a soft or hard pull for you. You can’t check for pre-approval online. You can check your credit card application status online. Product changing your existing card into another Wells Fargo card is allowed. Their no annual fee cards may be good cards to look into. Change your statement closing date by just calling in. This is useful if your pay is at a certain time and you want to pay off your card before the statement closes. Wells Fargo doesn’t have a referral program. Didn’t find any Wells Fargo credit card bonuses you liked from this list? See our list of the best credit card promotions and their respective reviews to find the best one that suits your needs, here on BankCheckingSavings. In addition, if you’re interested in opening a new checking and/or savings account, you can find a collection of our best bank bonuses with some of our helpful guides listed on there if you need any additional information! I am very unhappy with my decision to open a charge card with Wells Fargo Visa . I signed up about six months ago at the bank with a rewards promotion , as a new customer . I never received my rewards , for being a new credit card customer , and spending the promotion amount that was required . I spent two hours on the phone with the rewards department then directed back-and-forth to the credit card department . Yana after spending 20 minutes directed me to Adriana after 20 minutes told me to go back to the department that Yana was at . I could tell the representative did not want to close my account . Unfortunately they didn’t have an answer to give me . All I know is I opened an account with a reward promotion, and I am not going to be rewarded . Now I want to close the account . I do a lot of business with Wells Fargo and I’m very dissatisfied with this Visa card .